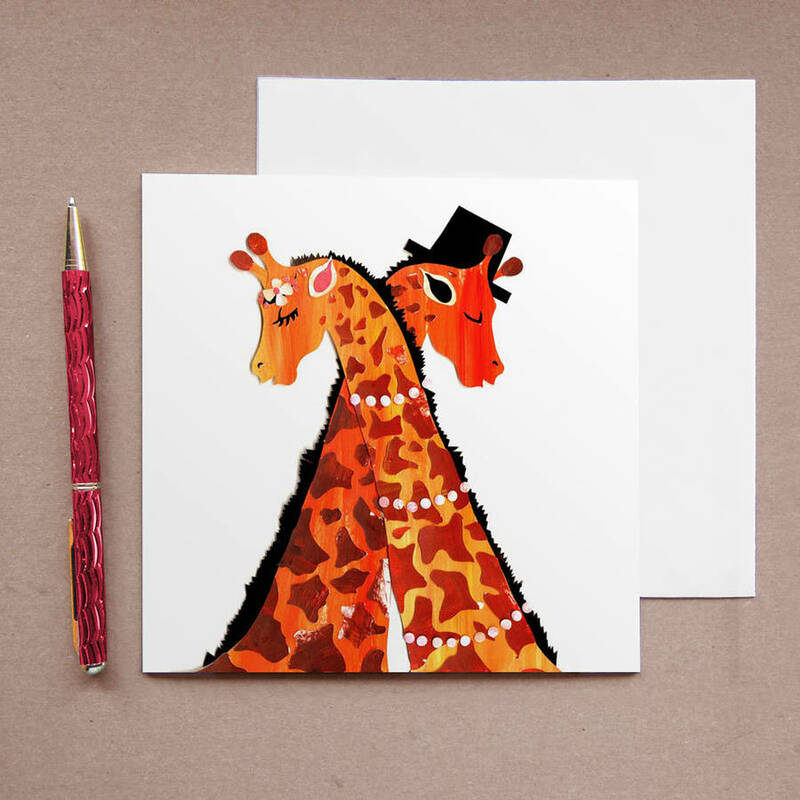 Choose from 2 pairs of elegant animals; Dalmations or Giraffe card designs, perfect for weddings, engagements, anniversaries or Valentines day. 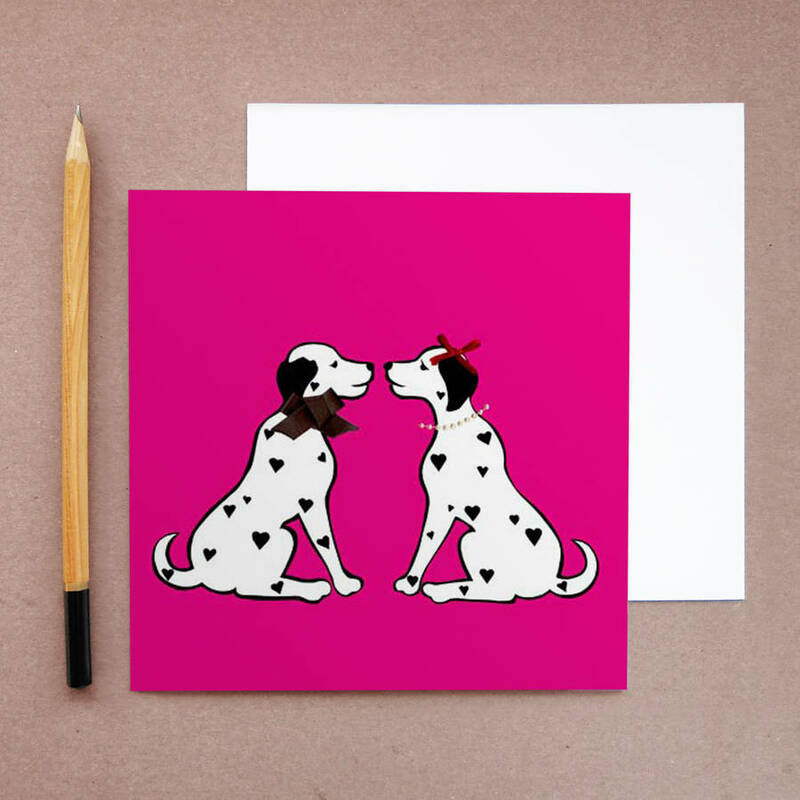 These beautiful and fun collage designs are the ideal card for any animal lover, for a variety of romantic occassions, as both designs are blank inside for your own message. Both the giraffe card and dalmation card designs show the animal couples beautifully attired for their big days and make wonderful wedding cards. Choose from Giraffe or Dalmations buy both for the discounted price of £5.50. All designs also available as limited edition prints.